I was going through my client list lately, and I know a lot of them are having one of their busiest seasons right now. The holidays are goldmines, after all. Because of that, there are myriad ways for you to create blog content that drives engagement (and makes money) this Valentine’s Day. I’m going to give you some great content ideas for Valentine’s Day. However, before I give you some blog post ideas, I wanted to go over a few things to keep in mind while you’re creating your Valentine’s Day blog content. Write in a way that makes your readers recall a positive memory. This could be flying down the freeway on a Harley, going 100 mph. It could be movies with cult followings (like Rocky Horror Picture Show or Labyrinth), it could be certain time periods (the 90s, for instance), television shows, Netflix originals, music, etc..
Whatever it is, you want to forge an emotional bond with the reader over these things. Follow up after you have created consumer-brand trust with your products and blog posts about your products. You can get your customers to buy those products because you’ve already established trust and a bond with them over things that invoke positive memories and emotions. Create narrative and imagery that makes your readers want to experience the idea you’re sharing with them. This makes it easier to write your Valentine’s Day blog posts that are focused on selling certain products - - and makes them more likely to convert to customers. Build trust and evoke emotion by using emotion-inducing adjectives like incredible, memorable, long-lasting, fun-filled, closer, and bonding. The goal of these adjectives is to get your customers thinking and use their imaginations, so they can mentally picture what you’re describing. By doing so, you evoke desire and emotion in your readers, which makes them want to experience what you’re offering with the person they love. Because Valentine’s Day is just around the corner, get your readers to imagine themselves in certain scenarios with their sweetie by using sensory words. These include, descriptive words like sweet, pine, earthy, the scent of sweet and spicy swirled through the air as...or the smell of fresh earth and pine coming off the bag of bud as she slowly dipped a strawberry into the lake of thick, rich white chocolate….Anything that creates the sense of something romantic they would want to try out. If you are going to go the romantic route and create content about romance on Valentine’s Day, then you also need to create a strong sense of urgency. After all, Valentine’s Day is just a few weeks away. Let them know they need to buy their gifts NOW, before it’s too late. Help your website visitors to imagine how amazing it would be to use your gift ideas. Then, come up with ways to improve your ideas. As you’re doing so, you can get them excited to create their own versions of your gift ideas and want to try them out. Create content that highlights products or explain how to do things. This will make your website visitors more likely to click through on your links to find those products and where to purchase them. In addition to all of that, when you are writing any of these posts you need to remember to be right to the point, yet still create an emotional bond with your reader. This will build consumer - brand trust and then compel your readers to try your ideas on their own. If you can persuade them to use your ideas, then you have gained their interest. Include links to where they can find more information about the products or items they will need for your Valentine’s Day ideas. With that in mind, here are 30 great content ideas for Valentine’s Day. 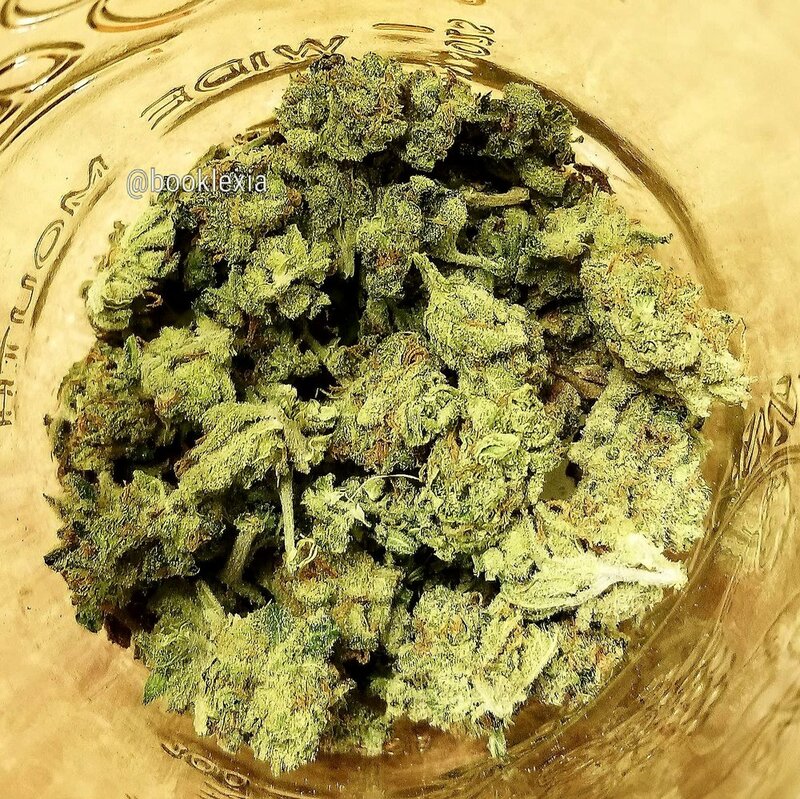 3 categories of cannabis and the perfect strains for each - Talk about what types of marijuana strains work best for certain effects. 5 sweet marijuana strains to try on Valentine’s night with your partner - This is a great one for couples who are about to have their first date, as the names are cute and remind the reader of sweet delicacies. 10 ways to include sweet marijuana strains into your romantic Valentine’s evening - Create a post that gives different strain + chocolate pairings as a way to help your readers find fun ways to have a more romantic stoner Valentine’s Day evening. The top 10 romantic stoner accessories for Valentine’s Day - Discuss the best products that can make Valentine’s Day with your partner even more fun. 5 stoner wedding ideas for the newly engaged - Bachelorette season is upon us, which means including a post that goes over the “Weed Wedding” trend, talk about fun gifts for the new bride, or even talk about pot-leaf lingerie would make for great content ideas for Valentine’s Day. How to pick the perfect wedding bong for a newly engaged couple - Picking a bong can be tricky; there are so many choices. Talking about different types of bongs and also what is a good one to bring on the honeymoon can create a perfect Valentine’s Day post. 10 party must-haves for a stoner bachelorette party - Include a post about weed-related accessories, games, drinks and munchies snacks, etc. ideas for throwing a stoner bachelorette party. 5 bachelorette party themes and supplies for stoner brides - There are tons of gift ideas and supplies out there that work well for people who don’t like the more in-your-face bachelorette party supplies. Create a list of five themes for each type of stoner bachelorette party. Don’t forget about the decorations to create the perfect bachelorette party for a stoner bride. Gifts to surprise a new bride when she gets engaged - This could be everything from a grinder etched with their wedding date to edibles in the shape of a heart. Include links for any products that are in your store, as well as images of your dispensary’s products and accessories. Have the list get better and better, all the way until they reach the bottom. And then, end the post with something big and mind-blowingly romantic-stoner. Perfect theme for Valentine’s Day and new proposals. 5 absolutely delicious “special” cookies recipes for Valentine’s Day - Share five of your favorite cookies recipes, with cannabutter being used in place of regular butter. 4 uses for your adult-shaped cake mold after your bachelorette party is done - This could include stonerific cake ideas such as a large blunt, a large joint, jar of weed, etc. 10 Valentine’s Day gift for your college student - Include fun pot-leaf boxers and other fun stoner novelty items. Supplies for a chill and romantic evening at home - You could talk about stoner bathrobes, heart-shaped “special” cookies, lava lamps, music, and even stoner movies for Valentine’s Day. 30 pajamas perfect for Valentine’s Day - Write a list post that talks about things like see-through kimonos, novelty print pajamas (donuts, pot-leaves, blunts, etc. ), and large marijuana-related sleeping t-shirts. A singles Valentine’s Day meet and greet - Everyone meets in your shop, starts talking, and bonds over a shared love of marijuana. Then, suggest ideas for strains they can share (with love-related names). Comfortable and cute stoner gifts to give instead of lingerie - You can include robes, novelty shorts-and-t-shirt pajama sets, cute pajama pants and tank-tops, and onesies. 5 stoner-themed Valentine’s Day gift basket ideas - Including things like strains named Champagne Kush for more romantic themes, truffles by Swifts Edibles from Green Labs. 5 ways to make flowers even more special on V-Day - You can go over using the person’s favorite color, buying bouquets of flowers with 4 of one kind and 20 of another, or buying a weed bouquet. 19 alternatives to traditional Valentine’s Day gifts - This could include things like stoner gift baskets, engraved grinders, picnics with strains that cause the biggest munchies, a heart-shaped Valentine’s Day box filled with nugs instead of chocolate. Or, you know, just leave some of them filled with chocolate. A list of the top marijuana vape pens for the discreet sweetheart - Include pens like IndigoPro Vape Pen, the Puffco+, or the PAX 3. Pamper your stoner sweetie with these spa gifts - The options are nearly endless here. Come on, what stoner wouldn’t feel special with a bubble bath, some cannabis soap such the one by Little Homestead Farms, a marijuana - scented candle, a blunt, and some chocolate? Show your pet some love this Valentine’s Day - Include a blog post that talks about gifts for a stoner’s pets, such as Fairwinds CBD Companion Tincture , pot leaf dog collars, pot leaf cat bandanas, and other great pet gifts. Savory cannabis chocolates for your sweetie on Valentine’s Day - There are so many options when it comes to marijuana-infused chocolates. Put together a list of the best ones (and ones you sell) to give to a stoner Valentine. 3 cannabis chocolate recipes to make your Valentine feel loved - A homemade gift is always deeply appreciated. It’s even more appreciated when it gets you high! Make a list post of 3 different cannabis chocolate recipes you know your audience will love. Planning a stoner getaway for Valentine’s Day - Tell your readers how to take a 420-friendly weekend getaway for Valentine’s Day. Colorado, Oregon, and Alaska are great winter spots. Additionally, 420 Tours have all-inclusive cannabis vacation packages. 7 signs a stoner likes you - Write an entertaining post that finishes the sentence: “You know a stoner likes you when . . . “ Remember to get creative and have fun with it! This is the type of edutainment content that drives engagement. First date ideas for stoners - Create a list that includes things like places to eat in Tacoma when stoned, great viewpoints to picnic and smoke at, and stoner comedy movies. What you need to know before dating a stoner chick - This would be a list post of funny female stoner traits, such as she’ll eat all of your chicken nuggets. Most of these great content ideas for Valentine’s Day can be used for multiple types of content, and will help drive conversions if you can get your readers excited enough to try the information or product suggestions you shared with them. Keep in mind, everything you suggest should be considered safe. Always offer alternatives in case of allergies (such as peanut allergies) or other risks to their health and / or safety. If you want some help publishing great content that gets results, please follow me on Twitter and then send me an email or use the contact form on this page. I’m looking forward to helping you generate high-quality, value-driven content for your site. I'll email you back as soon as humanly possible. e sure to read Valentine's Day Content Marketing Made Simple: A Step-by Step Guide for additional content marketing help.